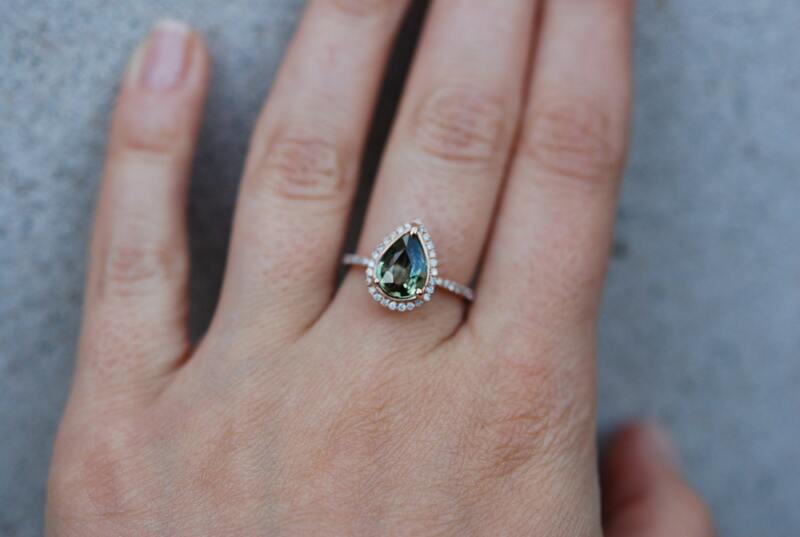 The ring features 2.3ct Green Tea sapphire. 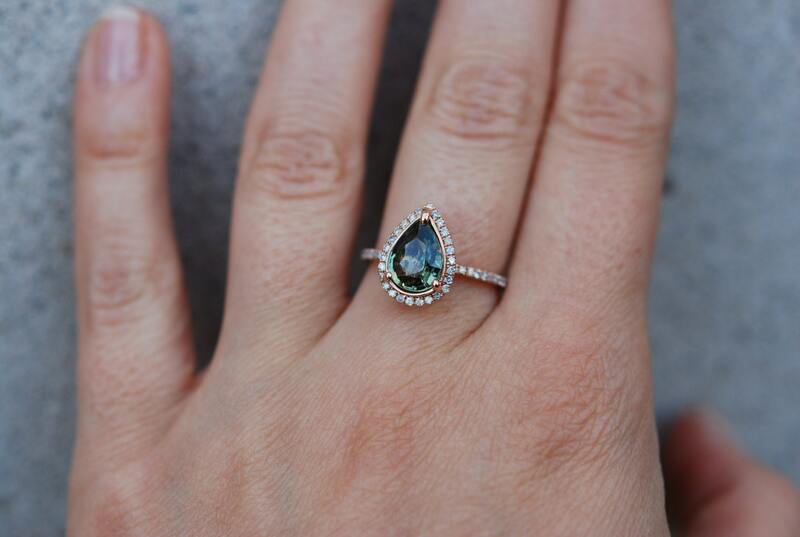 The stone is eye clean and sparkling, natural untreated sapphire. The setting is 14k Rose gold SI/H diamonds. 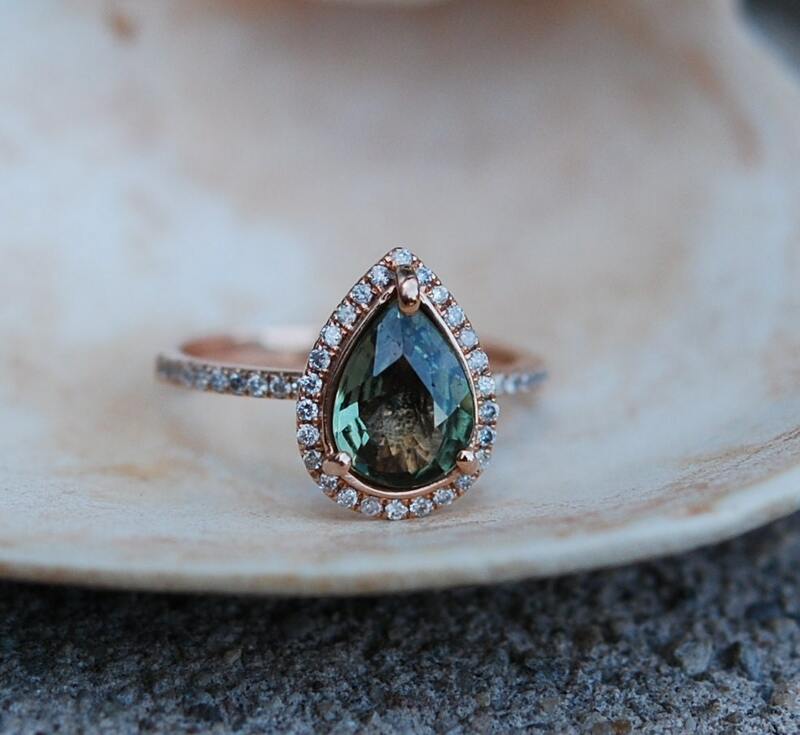 Truly a spectacular, one of a kind item! The shipping was fast, and the quality of the ring is exceptional. Highly recommend! The ring was beautiful and arrived VERY quickly. Very pleased with my purchase and quality.